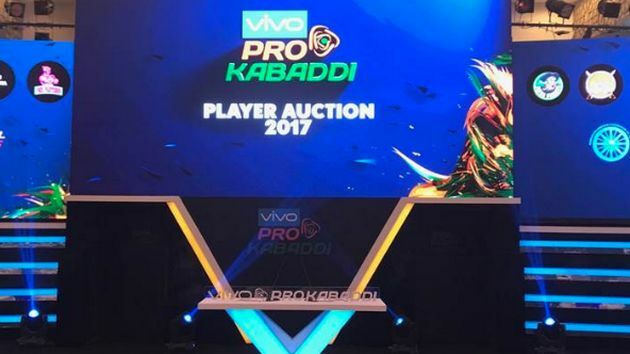 Mumbai,: Ending the PKL auction 2019 on a high note, franchises spent over Rs 50 crore to buy 200 players (173 domestic and 27 foreigners) during the two-day auction process, which concluded here on Tuesday. Siddharth Desai was the top buy in the auction as he was roped in by Telugu Titans for a whopping Rs 1.45 crore while Puneri Paltan spent a staggering Rs 1.20 crore for raider Nitin Tomar. In domestic B category, Defender Mahinder Singh was picked by Bengaluru Bulls for the highest bid of Rs 80 lakh. Meanwhile, Manjeet was bought by Puneri Paltans for 65 lakh and K Prapanjan joined the Bengal Warriors for 55.5 lakh.Among the foreign players, Mohammad Esmaeil Nabibakhsh was the highest paid player for his successful bid of Rs 77.75 lakh. ''The bidding strategies displayed by each Franchise stand testament to the evolution of the sport and the league. The teams look well-balanced and are a mix of young and experienced players. I look forward to League being an exciting event for all our fans, sponsors and teams?, he added. At the end, a total of over Rs 50 crore was spent on 200 players, which was a huge jump from the season 6 auctions. All teams completed their quota of 18 players with Rs 50 crore being shelled out across two days.